BBC Sherlock Fan Forum - Serving Sherlockians since February 2012 » How did Sherlock get close to Culverton Smith? » How did Sherlock get close to Culverton Smith? 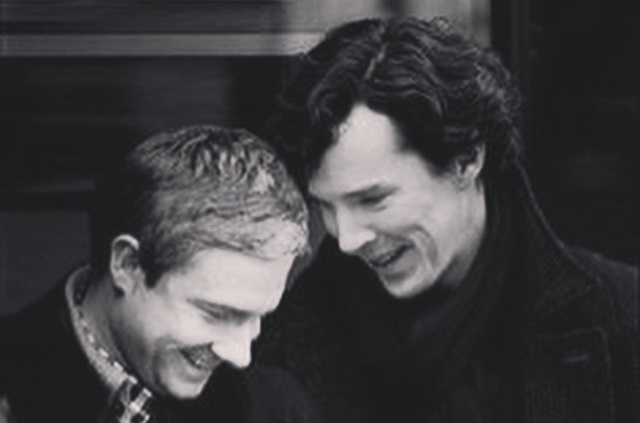 How did Sherlock get close to Culverton Smith? I don't understand how Sherlock managed to get into CS's "inner circle". How did they meet? How did CS let him in and let him see everything? Re: How did Sherlock get close to Culverton Smith? Culverton Smith wanted to, I think. Sherlock Holmes was famous, Culverton Smith was smug, and showing off. 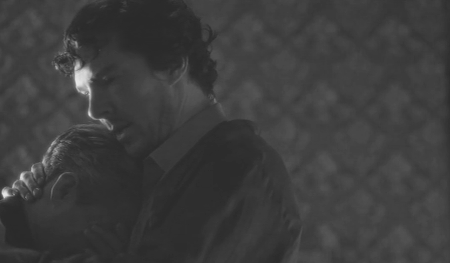 Sherlock publicly accused him, so Culverton invited him to meet him and see his charity work, and hugged him and so on. He was showing he was untouchable. Like all serial killers, CS had a weakness. 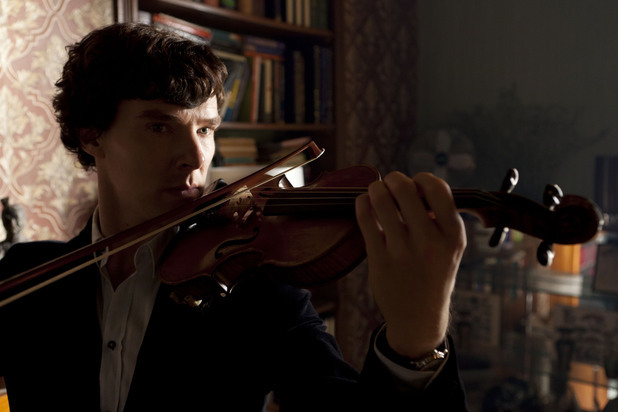 He was arrogant and loved to think that he was playing Sherlock. And at one point in the morgue, I had flashbacks to HLV, where Sherlock realises he's got everything wrong and f*cked things up. Except in the end, he hadn't. Yes, it was pretty clever. And funnily enough, he used the same thing as he used with Magnussen, drugs, to try to put Culverton on the wrong track. You know, when John and Lestrade watched that video of CS about "putting Sherlock in his favorite room" I immediately thought of the mortuary and wasalmost screaming at John to connect the dots too!!! God, when they searched the flat and the note fell down. I almost cried out THE NOTE!! IT'S REAL!! Sherlock twitters he (CS) was a serial killer and asked for a lunch date. So when they meet (with the creepy hug), that's the first time? They talked as if they had known each other for ages. "The frailty of genius. It needs an audience"
Yes! We're back where we started. And in fact, Culverton seems delighted with the extra audience he's getting through being a famous serial killer. "I might break America!" (I like that they pointed out the entrapment too!). "...always so desperate to get caught"
Yes, I think you're right. And now he can be free with all the horrible details. A happyish ending for him, rather disturbingly. I don't think so. From what I've seen upon re-watching (Sherlock with Faith Smith is my favourite scenes in season 4), Sherlock was drugging himself out of his mind long before ever being aware of there being anything wrong with Culverton Smith. He has the drug lab and Bill Wiggins in his kitchen when Faith comes to tell him about her suspicions regarding her father killing one person - and he is in a state where he can't remember why he looks out the window. Then it takes the night walking with Faith and a morning (or so) of thinking to come up with the idea that CS is a serial killer. Sad as it is, I'd say Sherlock took the drugs for their own sake - because he thought they'd help him get over having got Mary killed, over John wanting to have nothing to do with him, because he wanted to switch off his brain, because it's easier to give in to addiction than to face the realities of life, or for whatever reasons people take drugs. Oh, I agree that there was the more to his drug use than just that. But it seemed that he planned all along to become a "patient"/victim - he had to be in serious danger and have John rescue him. I'm still unclear as to exactly how much was planned, but the drugs certainly helped to get him in that situation. The idea of Sherlock taking drugs in order to approach CS does not make sense to me because at the point he has no idea that the killings are connected to the hospital. The only information he has came from Faith and did contain any hints to the hospital. I'll have to watch again, as I think maybe the very obvious Jimmy Savile connection made me just assume that there was a hospital connection! (Setlock probably didn't help to dissuade me either). Of course, it would have been an easy deduction for Sherlock to make, given the circumstances. I do think that he tries to put himself in danger, as Mary suggests. I think the drugs were initially grief-related, as he'd lost both Mary and John and also had some guilt over it. But they also played a part in the case, in various ways - and I thought the Magnussen connection was interesting.